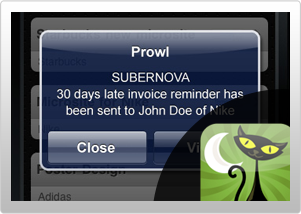 SUBERNOVA is a project management tool that makes you more productive by taking the stress out of remembering important details of your projects, lets you track time, send invoices and estimates, collaborate with others and keeps your business smooth by keeping tabs on late payments, deadlines and more. 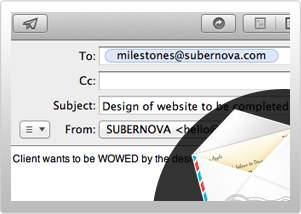 Quickly create milestones or links by sending an email when an idea strikes you. 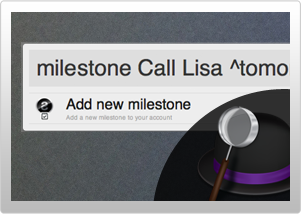 Create milestones or links quickly with one line of text. 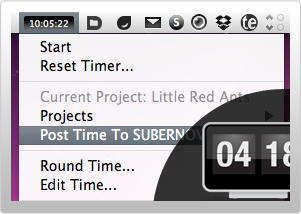 Time tracking right in your menubar. 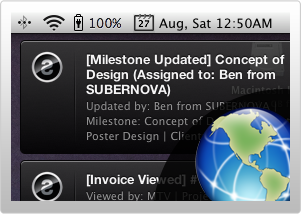 Get dock badge counts and growl notifications when using SUBERNOVA with Fluid. Receive push notifications to your iOS device whenever an event is triggered. For example, your client views your invoice, reads your email, your quote is approved, members of your team add a new project, completes a milestone, starts a timer etc. 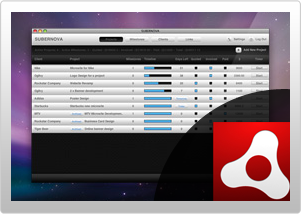 Run SUBERNOVA natively as a desktop application on your operating system. 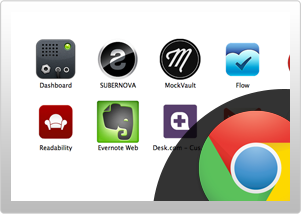 Install SUBERNOVA as an app in Google Chrome.